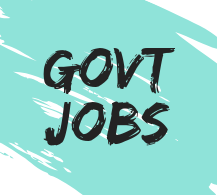 Indian Academy of Highway Engineers is recruiting for the post of Multi Tasking Staff (MTS), Stenographer, Lab Assistant and many other. 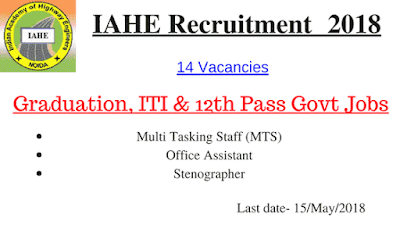 This IAHE Recruitment 2018 consists of 14 vacancies for the graduation, 12th pass & ITI govt jobs. 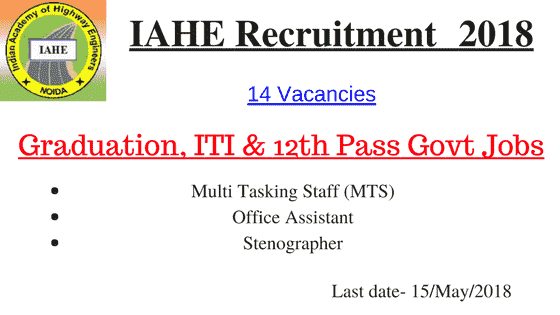 Posts → Here you can find the education qualification required for vacancies in IAHE with the posts. *SC / ST / PwD / Ex serviceman can apply free.